Polyclonal Vs Monoclonal Vs Recombinant Antibodies: What’s the Difference? Polyclonal. Monoclonal. Recombinant. These are words you’ve definitely come across if you work with antibodies in the lab (or maybe you’re just an immunology buff). But what do they really mean? 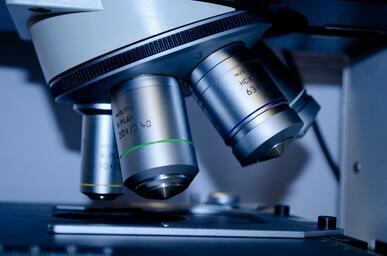 Let’s take a closer look at each antibody type and explore their advantages and drawbacks. The terms "polyconal" and "monoclonal" derive from the process of antibody generation in the immune system. When a B-lymphocyte binds a foreign antigen to its cell surface antigen receptor, it is stimulated to differentiate into memory B-cells and plasma cells, both of which secrete antibodies specific to the inciting antigenic epitope. Since antigens can range in size from small molecules to large proteins, many epitopes can exist on a given antigen. Keeping in mind that a large number of B-cells can recognize the same antigen, the resulting response involves antibodies secreted by different B-cells targeted towards different epitopes on the same antigen. Such a response is called polyclonal. In other words, a polyclonal antibody is a collection of all the antibodies directed against a given antigen by many different B-cell clones. Now let's say, hypothetically, only one B-cell responded to a given antigen. Since this cell would recognize a single epitope, it would differentiate, divide, and secrete antibodies specific to this epitope only. This is called a monoclonal response. That is, a monoclonal antibody is a collection of the antibodies secreted by a single B-cell clone, therefore having specificity for only one antigenic epitope. Selection and preparation of the antigen, taking great care to ensure high purity. Selection of the host species (often a rabbit or mouse), keeping in mind the quantity of antibody desired and the species from which the antigen was obtained. Selection of an adjuvant to boost the immune response, if the antigen of interest is weakly immunogenic. Immunization of a host animal with the desired antigen. The route of injection (subcutaneous, intraperitoneal, intravascular etc.) depends on the chemical nature of the antigen and the choice of host species. Harvesting of the antiserum once a robust immune response has been achieved. Subsequent purification steps are often necessary to increase sensitivity and specificity of the antiserum. Harvesting of antibody-producing B-cells from the spleen or other lymphoid organs. Fusion of B-cells with non-secreting myeloma cells to create a "hybridoma." This step immortalizes the B-cells and allows them to undergo successive passages in vitro. Screening/selection for successfully fused hybrids in HAT medium and subsequent enrichment of single clones using ELISA, immunohistochemistry, and/or flow cytometry. Cloning, expansion, and cryopreservation of the monoclonal hybridomas. These cells can now be used as a renewable source of monoclonal antibodies. Recovery/purification of antibodies from the culture supernatant. Another method for generating monoclonal antibodies takes advantage of developments in recombinant DNA technology. The procedure for producing a recombinant antibody involves the cloning of antibody gene libraries into phage vectors and allowing the phages to infect a host cell line. The host cells will then produce daughter phages, which express the recombinant antibodies on their surfaces. After a process of selection for antibodies with the desired characteristics, the genes can be inserted into an expression system and the antibodies can be produced in large quantities. In general, the choice to generate a polyclonal versus a monoclonal antibody comes down to a few factors: the cost, timeline, and intended application of the antibody by the end user are all things to consider. 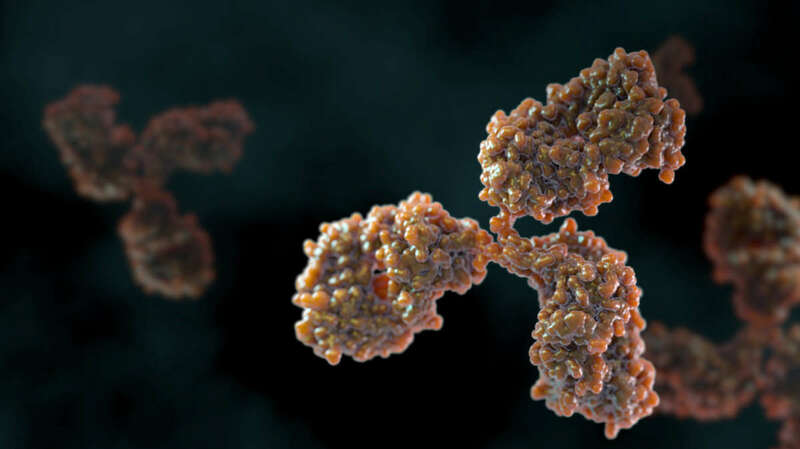 The main advantage of polyclonal antibodies is their relatively low cost to produce and quick turnaround time from antigen preparation to antibody harvesting. Polyclonal antibodies also have the ability to detect multiple epitopes on an antigen, giving them higher overall affinity to their antigen and therefore stronger detection efficiency. The heterogeneous nature of polyclonal antibodies, however, also makes them more prone to batch-to-batch variability and cross-reactivity with other molecules resulting in higher background. In general, polyclonal antibodies are better suited for applications where high sensitivity is desired and when antigens are present in low quantities or non-native conditions. For this reason, polyclonal antibodies are commonly used in western blot, immunoprecipitation (IP), chromatin immunoprecipitation (ChIP), and immunohistochemistry with positive outcomes. Monoclonal antibodies generally succeed where polyclonal antibodies fail. For example, homogeneity is conserved between batches because the antibodies are derived from a single B-cell clone, and since they only detect one epitope per antigen, cross-reactivity with other molecules is reduced. Hybridomas, once created, also act as a renewable source of antibodies, an advantage over polyclonals, which depend on the lifespan of the host animal. These improvements in functionality come at a cost, however: monoclonal antibodies are significantly more expensive to produce, require more specialized training to create, and have a much longer turnaround time. 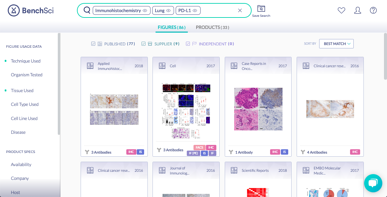 Overall, monoclonal antibodies can be used in many of the same applications as polyclonal antibodies when high specificity for an antigen is required, for example when studying changes in protein conformation or phosphorylation state. In some applications, monoclonal antibodies may be too specific, a drawback that can be overcome by pooling together multiple monoclonal antibodies. When developing a therapeutic antibody, the specificity of monoclonals is preferred since they are less likely to show off-target binding. For the most part, the pros and cons of recombinant antibodies are largely the same as monoclonal antibodies. Like monoclonal antibodies, recombinant antibodies require technical expertise and significant investments in time and money to produce, at least initially. Once recombinant technologies have been established, however, antibodies can be produced rapidly and without the need for host animals, which is a major advantage of this method. As recombinant antibody technologies continue to improve, they will likely take over as the primary method to produce monoclonal antibodies. Wondering what type of antibody is best suited for your specific application? 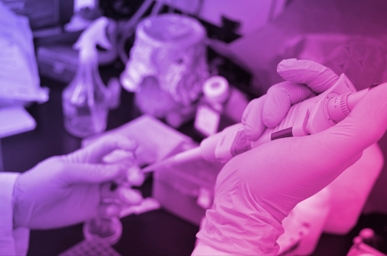 Check out our “Antibody Applications” series where we cover a wide array of antibody applications with tips from scientists with hands on experience.